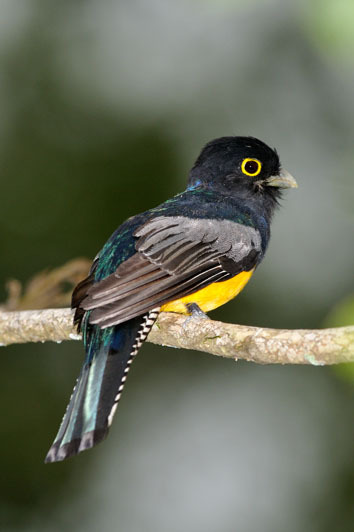 The trogons and quetzals are birds in the order Trogoniformes which contains only one family, the Trogonidae. The family contains 39 species in eight genera. They might constitute a member of the basal radiation of the order Coraciiformes or closely related to mousebirds and owls. The word “trogon” is Greek for “nibbling” and refers to the fact that these birds gnaw holes in trees to make their nests.